Another National Retail Federation “Big Show” is in the books – and what a week it was! The iVend Retail booth was full of activity – from meetings with prospects, customers, partners and media, to demoing the iVend POS solution on newly released hardware from Elo, HP and Star Micronics, to garnering support for the Retail Orphan Initiative. The consensus of our team after the show is a combined feeling of excitement and a sense that we’re entering a watershed year for omnichannel retail. The brick-and-mortar store remains the star: As our CEO, Kamal Karmakar, wrote earlier, the biggest opportunity retailers have to meet shoppers’ omnichannel expectations is for the store to ‘up its game.’ Specifically, this means turning customer data into insights that allow stores to tailor unique experiences to each shopper. We had many conversations at our booth about how iVend Retail helps retailers connect the dots, bridge the online/offline disconnect and deliver better customer centricity. 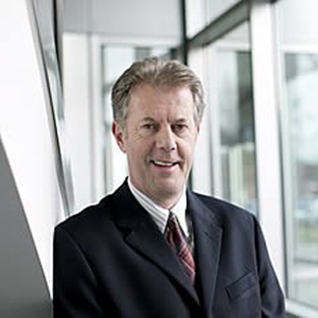 Store associates must engage more: However, if the store is to remain the star of omnichannel, associates need better insights that enable them to take queue busting action in real-time and assist the customer in finding the right items. Providing associates with Mobile POS solutions brings the best of online shopping – convenience and ease of use – onto the store floor. We were very gratified to see so much buzz about the critical role associates will continue to play and the need for technology solutions to help them. We agree completely! In fact, at our booth we shared the results of our omnichannel market report, which found that consumers, regardless of age or gender, are doing lots of online research on products before entering the store. And once they’re in the store, many are doing more shopping on their mobile devices. Technology is great, but it must fit into the context of consumers’ lives: Over the years, the Big Show has rapidly evolved to seem almost like another big show, CES. There was so much technology on display – augmented reality, virtual stores and fitting rooms, new payment methods, wearables and Internet of Things (IoT). As always, the strong message for us from conversations at our booth was that we need to make the technology fit seamlessly into consumers’ lives. This is why we received such a strong response to our Digital Passes solution. Not only do digital passes work with digital wallet applications from iOS or Android, which consumers are becoming more comfortable using, but they help consumers manage their loyalty offers and coupons all from one place. They also enable retailers to reward customers based on their shopping habits in all channels. There were many more takeaways, too many to fit into one blog post. The response we received at our booth was very encouraging, and we couldn’t be more excited for the year ahead. 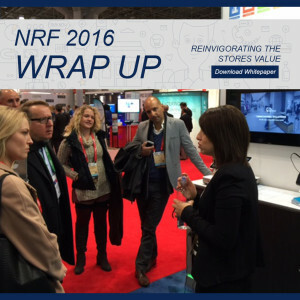 What were your biggest takeaways from #nrf16? Tweet us at @iVendRetail_NA, to join in the discussion.